Today’s program features Michael Garfield who went to school for paleontology and then psychology before leaving academia to embark on a decade-long “trans-disciplinary” independent study of the intersections between art, science, and philosophy. As an experimental acoustic-electronic guitarist-singer-songwriter, as a scientific illustrator turned performance painter, and as a writer and speaker, Michael’s work is an attempt to help articulate a vision for the best possible future for us – one that doesn’t suffer the insane delusions of our separation from nature, technology, and each other. 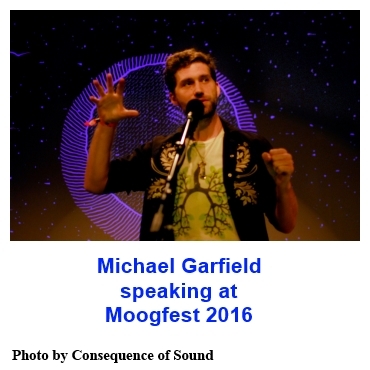 Posted in Art, Consciousness, Creativity, Culture, Evolution, Family, Future, Michael Garfield, Psychedelics. The German translations of his books are quite excellent and funny, I haven’t looked at his English versions yet. You should check it out. Lorenzo, I think you missed my points. 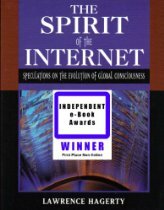 I was reflecting Michael Garfield’s observation that we shouldn’t be ignoring the negative side of spirit for our own convenience lest it festers at a deeper level of our minds and explodes uncontrollably when conditions are right. All the conveniences you/we exploit and use… roads, infrastructure, housing, material goods etc come to us at the expense of other peoples/animals lives, cultures and habitats in one degree or the other. The very land we house ourselves on has been stolen from others by war, persecution and genocide. Our comfortable lifestyles and artificial living have come to us as a result of aggression towards nature and other living beings. Sooner or later we are faced with the uncomfortable fact that we must decide who and what will be sacrificed for us to continue our addiction to a toxic paradigm that is giving us life and killing us at the same time. How willing are you Lorenzo, to sacrifice your comfortable lifestyle and privileges so that those unseen sufferers at a distance may live and be peaceful? It is by the actions of millions of wilful military combatants past and present that we are able to sit in indulgent comfort behind our keyboards, and express our viewpoints to one another electronically. If you are such a person who enjoys these privileges, then you too are riffing off the sacrifices made by others and hence, may be part of the problem you proclaim. And yet, you say that, such an opinion of war has zero value to you even though you too are wallowing in its ‘positive’ consequences. I identify with no group of people but to sentience itself. Knowing my own pain from moment to moment, in ‘the felt presence of immediate experience’, fills me with compassion for others who also suffer the pain of existence. I would like to think that I would never “turn on” someone else when the going gets tough. But that doesn’t mean that I don’t believe that many would, especially those who identify with group think in the name of personal survival and selfish ideology. Lorenzo, your comments after this podcast were full of hope for a change for the better but I think you’re living in your own romantic dreamworld if you think that spirituality is only composed of goodness and all things nice. Spirit also has a side that most people refuse to acnowledge because it is so distressing and appalling for them to contemplate. It is what gives goodnes its particular quality in this world. Progress would not be possible were it not for aggression and waring. The internet wouldn’t be possible were it not for coal fired power plants for electricity, mineral extraction and degradation of land and environments, etc, etc. It’s part of the price we all pay for being in existence. You kind of contradicted yourself when you expressed a disbelief in artificial intelligence becoming a thing by then giving intelligence, life and ontos to what you describe as a rising cyber consciousness or Newesphere. out of the new technologies. How can it be conscious when once you pull the plug and turn off the electrical swith, it simply vanishes into thin air where it came from and ceases to be? I know it’s a cliche, but I believe that the law of the jungle underpins all human motivation at the individual level. Especially these days where the whole world is in panic mode and a fight for individual survival. Have you seen the level of hate and abuse that millions of people are inflicting on each other on social media sites? This technology has become an instrument for the powerless to dump on the powerful and others who are also powerless and visa versa. When groups of people feel threatened, they usually turn on their own as a way of survival. Spirit acting in the world. jonabark, I agree that the people in positions of leadership are mostly doing a terrible job. What I meant by calling them “the head of the superorganism” may have been better phrased as “the trunk of the tree through which most of the sap flows” – that it’s inevitable in scale-free networks (all natural systems) that there will be an inverse relationship between frequency and value (the specific meaning of a word is inversely correlated with its frequency in language, just as there are more twigs than branches and more branches than trunks). In the light of this metaphor, my point is that we need to work for better leadership, not to abolish the idea of leadership. We can work to mitigate wealth inequality but doing so by violent revolution is only going to perpetuate or worsen our problems. I see this as a crime and punishment question, in which I suggest that violent crime such as corporate ecocide is – like drug use – a systemic issue better handled with a health and rehabilitation model than a punitive, retributive model. We know that pleasure has five times more of an impact on behavioral conditioning than pain – so why aren’t we engaged in a grassroots “gamification” of good leadership, encouraging those with the most resources to do better with them? As for Bill Gates’ “market based solutions to poverty and disease [looking like] one more accelerant to resource extraction and a self destructive economic model,” I think I agree. My friend and I just interviewed author Ashley Dawson about this for the Future Fossils Podcast – his new book, Extinction: A Radical History, is a critique of conservation models coming out of a capitalist mindset, and has me thinking in fresh new ways about what will be necessary to preserve our ecological basis for existence. Thanks for such a thorough and respectful reply. Metaphoric language can be difficult to parse, and it looks like I misread your intention though I was not looking for a target. I was interested in much of what you say and was just about to give a second listen.That particular construction just seemed wrong because I do think that the wisdom of Gaia circulates through the whole body and mind of humans, along with plants and the whole living and nonliving system( that is what I meant by the head that must be kissed), and it seemed like the phrase implied a special need of billionaires’ brains. I am happy to understand that it was simply a mishearing of your intention. Best wishes. just one more addition. I agree that the punitive approach to crime has many negative side effects. It is a tough subject; there appear to be some people who have become so deeply sociopathic that they must be constrained from ordinary social freedoms. Maybe Ibogaine or similar medicines might be an important part of the healing of violent greed and hate. We really should be exploring the therapeutic potential that they show. Still, I agree with the jist of what you are saying here. I had a difficult time following this, but I was working and grinding glass frequently and it was layered and complex and a bit digressive and rambly. I did like the parts about musicians and others interacting with plants and animals in creative respect, and the restoration of a modern kind of animism. A good choice for those who like a challenge. I plan to listen again and suspect I will find more to say and more to enjoy. But billionaires are not the head of anything necessary or admirable and certainly are not the mind of Gaia. To call them the head and cast those opposed to current arrangements of power in the role of those who would cut off their own head is insulting and clueless. I am not saying billionaires and generals, and criminal politicians and the human beings who run oil companies and chemical companies and who manufacture weapons and fill the world with plastic crap are worthless and unworthy of human love and forgiveness. But what we really need from many of them is not leadership or ideas but the admission that their ideas are flawed and their wealth and the system that perpetuates it is self destruction on steroids. What is in these heads is unsustainable and wrong and it is usually driven by the kind of left brain mechanistic egotism Mr. Garfield criticizes. Collectively there is a vast swath of destruction which testifies that they have more in common with the mind of Hitler than the mind of those of good will. There are plenty of better ideas and Mr. Garfield mentions a few examples of alternate models of community. There are others. These seem a far better example of the head that must be kissed and listened to than people who sit on piles of debt that cannot and should not be payed. Bill Gates looks in some ways like a billionaire who got kissed in his conscience and turned into a prince. I would say there is a huge question as to whether his market based solutions to poverty and disease are really creating a brighter future. It looks to many like one more accelerant to resource extraction and a self destructive economic model.